"Mr. Daura has been directed to hand over to the most senior officer of the State Security Service until further notice", Akande said. Daura was directed to hand over to the most senior officer at the State Security Service, SSS. 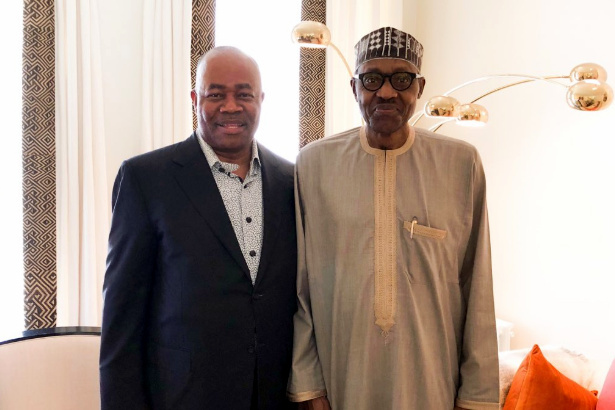 Matthew Seiyefa, the most senior officer in the Department of State Services (DSS), is now in a closed-door meeting with Acting President Yemi Osinbajo. Saraki was also expected to meet with Mahmoud Yakubu, chairman of the Independent National Electoral Commission (INEC). Mr Idris absolved the police of any blame after a closed-door meeting with the Acting President, Yemi Osinbajo, at the Presidential Villa, Abuja. Osinbajo described the siege to NASS as an unlawful act done without the knowledge of the presidency. In a statement, Osinbajo through his spokesman, Laolu Akande condemned what he called the " unauthorised invasion" of the National Assembly complex by operatives of the service. The acting President had on August 7 sacked the Director General of the Department of State Services (DSS), Lawal Daura with immediate effect, over Tuesday's invasion of the premises of the National Assembly by security operatives.